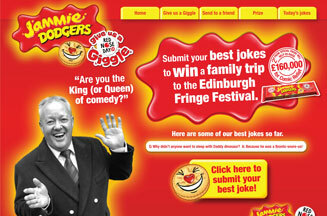 LONDON - Burton's Foods has appointed agency Fallon to its Jammie Dodgers account without a pitch. Last year, Jammie Dodgers launched a national partnership with Red Nose Day and said it was expanding its brand with a new out-of-home snack. It ran a marketing campaign that included in-store promotions, PR, experiential and digital activity. Two pence from every special Jammie Dodgers Red Nose Day pack sold was donated to Comic Relief in a bid to raise £160,000. Sales of Jammie Dodgers rose by 12.6% last year, according to ACNielsen.